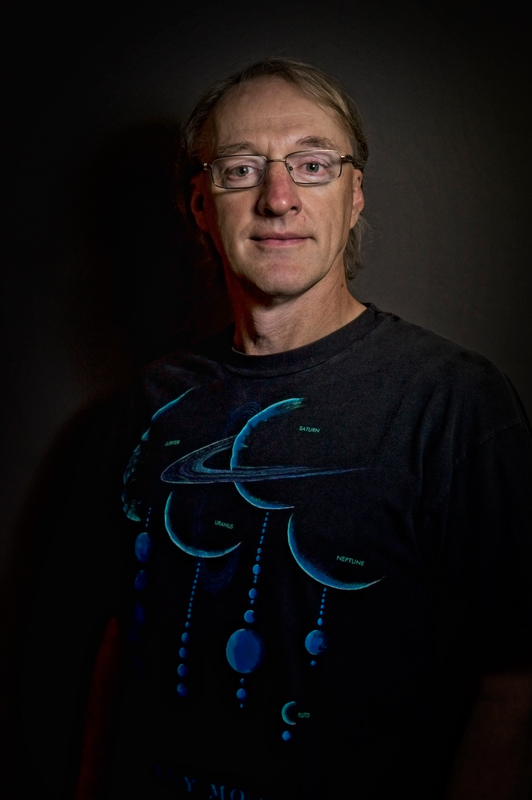 The October Meeting of the Amateur Astronomers Association of Pittsburgh will be held at 7:30 PM, October 14, 2016, at Carnegie Science Center, Riverview Cafe, One Allegheny Ave.Pittsburgh, PA 15212 and features the NASA New Horizons Mission Specialist Mark “Indy” Kochte*, speaking on “New Horizons: The Adventure to Pluto.” * Please refer to bio at the end of this post. Pluto has long been considered an oddball planet since it’s discovery, but over the decades we have learned much about what it is and what it isn’t. Now, after a 9.5 year voyage that covered over 3 billion miles, the New Horizons spacecraft, the first manmade object from Earth to visit this little planet, has shown us that Pluto is SO unique and unlike anything we might have imagined since it’s discovery 70-odd years ago. What new wonders await discovery? Join Mission Operations team member Mark ‘Indy’ Kochte on a journey of wonder to a place in our own solar system that the awesome Hubble Space Telescope can only barely resolve. The speaker will be at the top of the evening shortly after 7:30 PM. Following the speaker there will be a brief recess followed by the monthly business meeting. Please check back for updates. Heads up there is a 21+ Night upstairs in the Carnegie Science during the meeting. There are also some extra activities going on around the building. It should be great fun! Carnegie Science Center Parking Lot charges a flat $5 fee. AAAP Meetings are free and open to the public. https://3ap.org/wp-content/uploads/2018/08/logo_web_2018-300x300.jpg 0 0 DeSantisK https://3ap.org/wp-content/uploads/2018/08/logo_web_2018-300x300.jpg DeSantisK2016-09-30 17:40:572016-10-14 18:04:02AAAP October 14 Meeting, 7:30 PM, NASA Mission Specialist, Mark "Indy" Kochte, "New Horizons: The Adventure to Pluto." 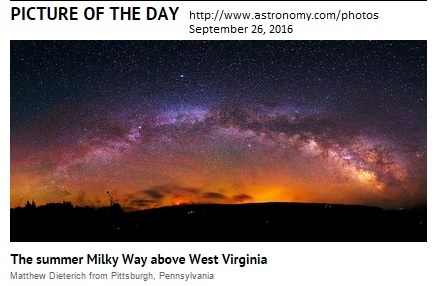 Summer Milky Way Over West Virginia by Matt Dieterich wins Astronomy Magazine Picture of the Day , September 26, 2016. Congratulations Matt! More on Matt’s work here . It is Annual Open House Tour time at Allegheny Observatory! The tour is free and open to the public but reservations are required and limited in number. Members of the public who would like to attend the open house should telephone the observatory at 412-321-2400 between 1:00 pm and 5:00 pm. Monday through Friday. AAAP members who would like to volunteer should email Lou Coban as outlined in AAAP’s September Guide Star Newsletter. The AAAP has been helping out at the Allegheny Observatory Open House for at least half a century. Our members keep that tradition going by showing a strong by offering to set up scopes on the observatory’s front lawn and in other capacities. 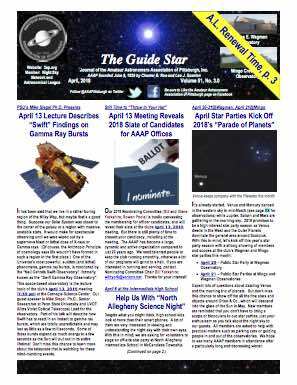 The Amateur Astronomers Association of Pittsburgh opens its observatories to the public on the following dates and locations: Wagman Observatory on September 10th & 24th (both Saturdays) and Mingo Observatory on September 23rd (Friday) & 24th (Saturday). No reservations. No charge. No limit to group size. Just show up. Our star parties feature a rich array of celestial delights. Experience the AAAP telescopes and those of our members as they reveal our solar system and more distant objects, including galaxies and nebula. The September 9, 2016 meeting speaker comes to us from Astrobotic Technology, the lunar logistics firm spun out of CMU’s robotics institute in 2007. John Branthoover, one of Astrobotics’ senior electrical engineers, is our guest. Team Astrobotic won three Google Milestone Prizes: The Landing Prize ($1 million), Mobility Prize ($500,000), and Imaging Prize ($250,000), for a total of $1.75 million in prize winnings! Astrobotic has entered into partnerships with DHL and Airbus in their competition for the Google LunarXprize as well as their quest to establish a regular privately-owned lunar payload system. Astrobotic is one of three companies partnered with NASA through the Lunar Cargo Transport and Landing by Soft Touchdown (CATALYST) to advance robotic landing capabilities. Their newly unveiled Peregrine lander features Aerojet Rocketdyne engines. Their next launch is planned for 2017. The September meeting takes place in the Carnegie Science Center’s Bayer Science Stage starting at 7:30 pm. It’s been a long time since the U.S. soft-landed anything on the Moon. This is a good chance to learn about the next Giant Leap.